Fucus is often a dominant alga in the mid to high intertidal zone, forming a broad, distinctive band. Canopy forming algae such as Fucus provide food (Chapman 1990, Wooton 1997) and shelter to myriad other organisms (Bertness et al. 1999, Bulleri et al. 2002). 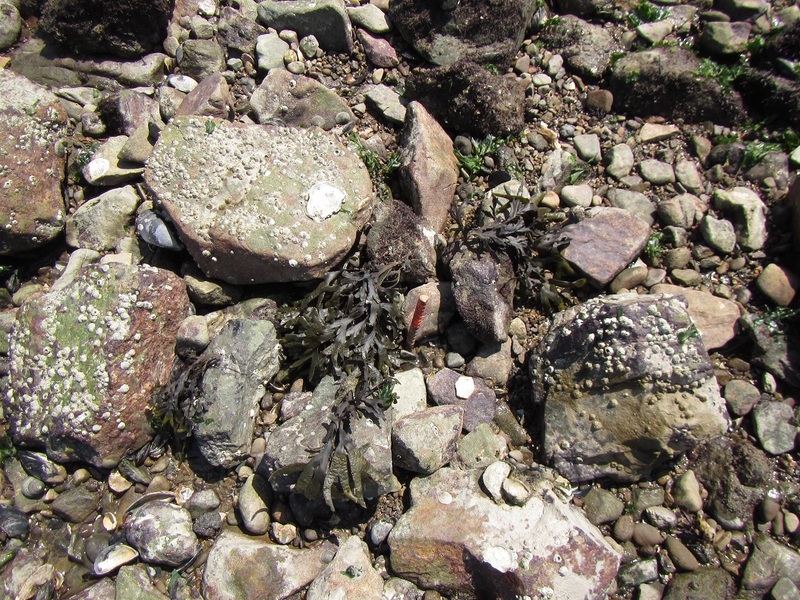 Altering rocky shores by damaging Fucus communities could cause cascading negative effects to other species in this habitat. 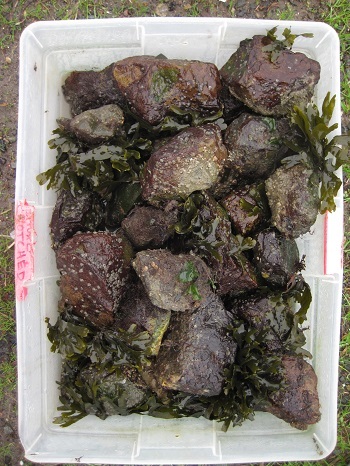 Fucoids are highly sensitive to oil contamination (Reddin and Prendeville 1981) and heat, as demonstrated by increased Fucus mortality in hot water cleaned areas versus un-treated rocks following the Exxon Valdez oil spill in 1989 (DeVogelaere and Foster 1994). 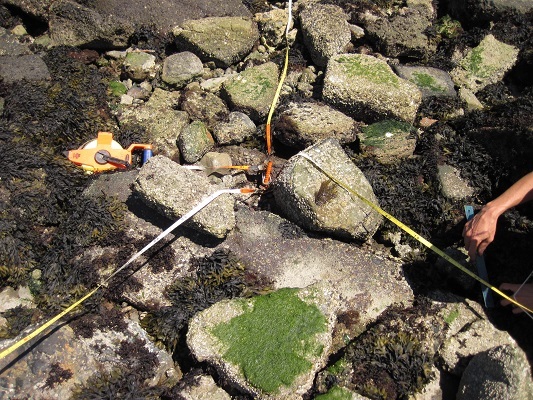 Fucus was not considered fully recovered until over seven years after the Exxon Valdez spill (Driskell et al. 2001). 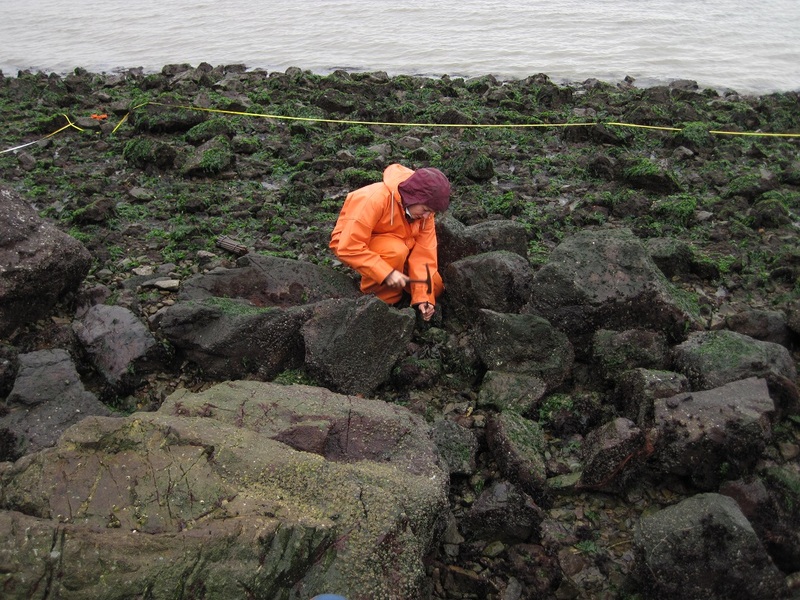 Fucus is a species that recovers slowly without intervention (Conway-Cranos 2012). Fucoids exhibit an "animal-like" gametic/diplontic life history: thalli are diploid and gametes are formed via meiosis (Searles 1980). Sperm and eggs are produced within blades of individuals and gametes mix when exuded at low tide. Eggs are fertilized with the incoming tide and the resulting zygotes attach themselves to the substratum (O’Clair and Lindstrom 2000). Juveniles do not disperse far from parent plants (Stekoll and Deysher 2000, Hays 2006, 2007) which is what makes recovery of fucoid species very slow following a disturbance (Conway-Cranos and Raimondi 2009, unpublished data). Because natural recovery is slow, restoration has been advocated as a strategy for compensation of anthropogenic impacts. 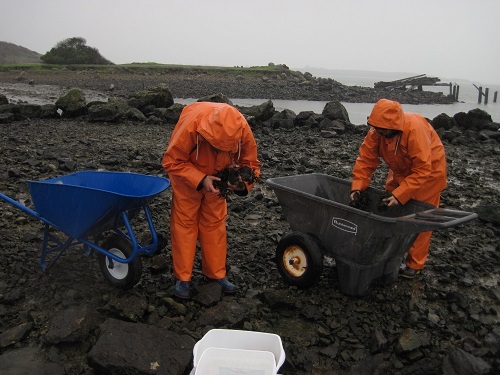 As adults, fucoids can be transplanted successfully; therefore, the goal of UCSC's Fucus Restoration project is to field test a methodology that will efficiently and effectively lead to recovery of Fucus in areas that were damaged by the Cosco Busan oil spill. When a species has short range dispersal and no other mode of regular dispersal of adults (e.g. floating rafts), there is always the possibility of very local genetic structure. This becomes important when deciding on potential donor populations. 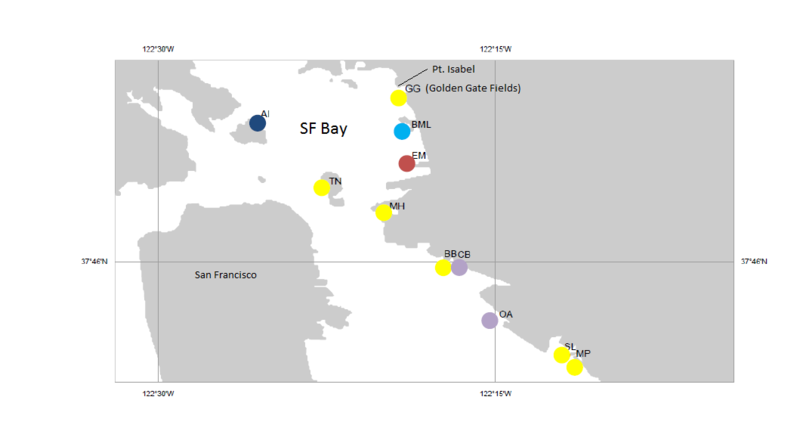 UCSC did genetic work before conducting restoration and found limited spatial genetic structure within San Francisco Bay; however, it was mostly partitioned in clusters. This suggested that donor populations could be identified (as nearby recipient sites as possible) that would not disrupt local structure or adaptation. 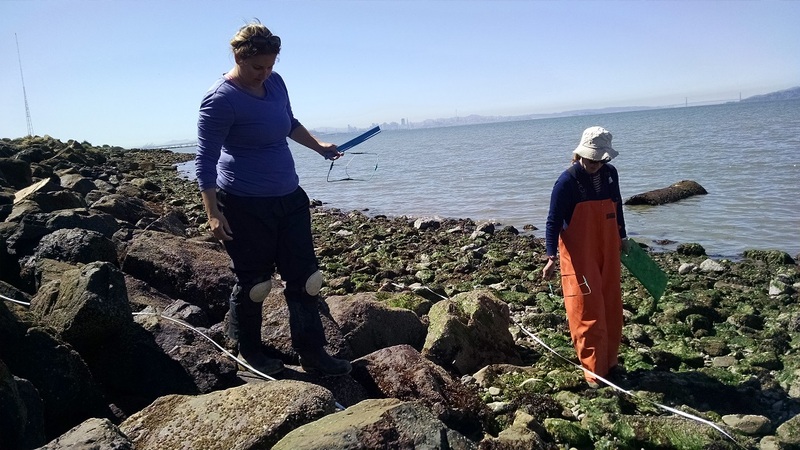 UCSC researchers selected Golden Gate Fields, where many Fucus individuals remain, as a source population for transplanting adults to Point Isabel Regional Shoreline, where the Fucus population was negatively impacted by the Cosco Busan spill and high powered hot water clean up. This project began in 2015. 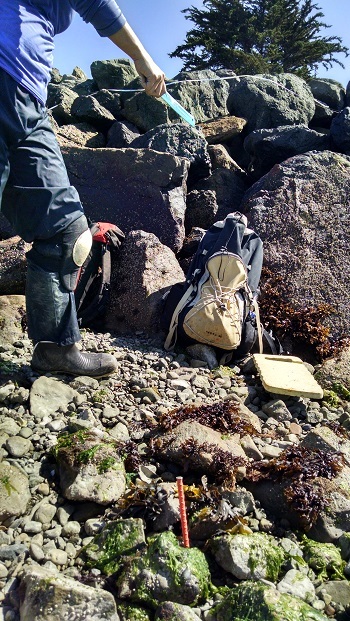 In 2016, it was considered recovered enough that human intervention was no longer implemented and the transplanted Fucus plants were left to further repopulate Point Isabel on their own. In 2017, another site was established in conjunction with Cosco Busan restoration at Marina Park in San Leandro and another, smaller site at San Leandro Marina has been set up to mitgate damages done by the Dubai Star Oil Spill.